As summer winds down, the NHTSA is kicking off a national DUI crackdown, which will extend through Labor Day, a Portland car accident lawyer explains. As the summer starts winding down, preparing kids to go back to school and even making Labor Day plans are likely at the tops of people’s to-do lists. Well, safety officials that the National Highway Traffic Safety Administration (NHTSA) have a far different focus, as they – along with about 10,000 law enforcement agencies across the U.S. – will be fixated on getting drunk drivers off of the road. In fact, while summer is a season when there is typically a surge in car accidents in the U.S., drunk driving accidents in particular peak in the summer, especially over Labor Day weekend. Specifically, the NHTSA has noted that, over the evenings of Labor Day weekend, drunk drivers are responsible for killing about 50 percent of the people who die in fatal traffic accidents (over this holiday). That’s why officials have recently rolled out their Drive Sober or Get Pulled Over campaign, the goal of which is to take as many impaired drivers off of the road as possible over the next few weeks. The DUI crackdown will continue through Sept. 7th – Kicked off on August 21, this national DUI campaign will continue through the end of Labor Day weekend and is reportedly being funded by about $13.5 million in federal funding. 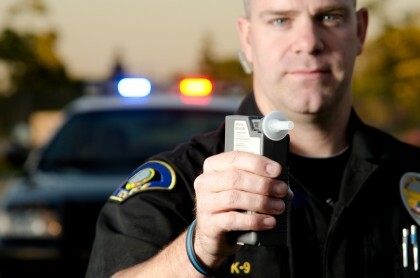 Stepped up enforcement & education are central to this campaign – While a significant effort is being made to increase the number of law enforcement DUI patrols that are out, this DUI crackdown will also reportedly involve checkpoints and education efforts to alert the public about the campaign (and, in doing so, try to deter people from driving drunk ). For those who are out and consuming alcohol anytime over this next two-week period (or any time at all), the NHTSA recommends planning ahead to have a sober ride; for those who may be driving this weekend, wear your seatbelt, says the NHTSA, to reduce your risk of injury in case you are hit by an impaired driver. If you have been hurt in a drunk driving accident – or in any type of collision caused by a negligent driver, you can rely on a Portland car accident lawyer at the Savage Law Firm for experienced help and aggressive legal advocacy. Since 1977, our lawyers have been devoted to providing each of our clients with personal attention, respect and the highest quality legal services.